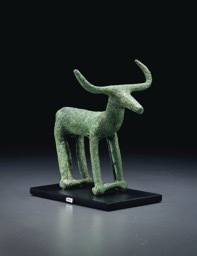 This is a Sardinian Bronze Bull from the Nuragic Period, Circa 9th to 7th Century B.C. 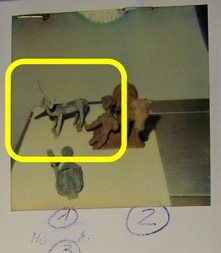 that we identified as being a match with the infamous Becchina Archive. The item was being offered on consignment to a major US auction house in 2015 and has only recently been returned to the Republic of Italy in 2019. Art Recovery International’s Christopher Marinello notified the Carabinieri of the location of the bronze and successfully negotiated a release from the Consignor with the Carabinieri’s permission. However, nothing is simple when it comes to dealing with law enforcement, especially when several jurisdictions are involved. The item had to be formally seized by US Customs and Border Enforcement (ICE) and put through the long repatriation process. Four years after Art Recovery identified the bronze, it was returned to Italy as part of a larger group of looted antiquities. We’re proud to have been part of this pro-bono recovery which can be, literally, a thankless job.